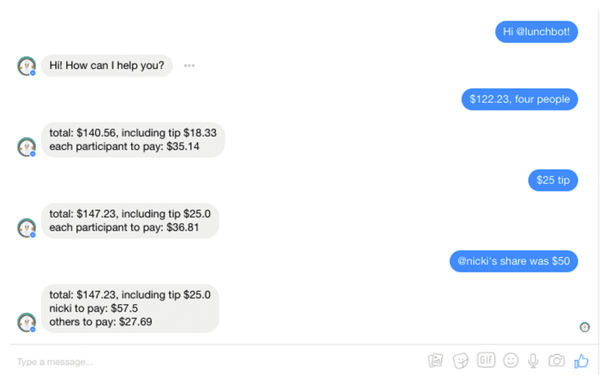 Lunchcat is a chatbot our team created that helps you and your friends split lunch costs. Check out video tutorial on our lunch chatbot to find out Lunchcat works. To start, wimply type how many people you are and what the total bill was and Lunchcat will instantly tell you everyone’s share and tip amount. Tip percentage or value in dollars can be adjusted at any time. As well, Lunchcat is able to process information for individuals such as a user-specific price share (e.g. amount owing based on a percentage), extra price contribution or user specific tip. To communicate with other users on Lunchcat, simply use an @ sign. For example, @John or @Mary. Lunchcat also recognizes the person that talks to it. So, for instance, you can say “my share is $32. Default tip is 15%. Calculate what I should pay” and Lunchcat will make the correct calculation. 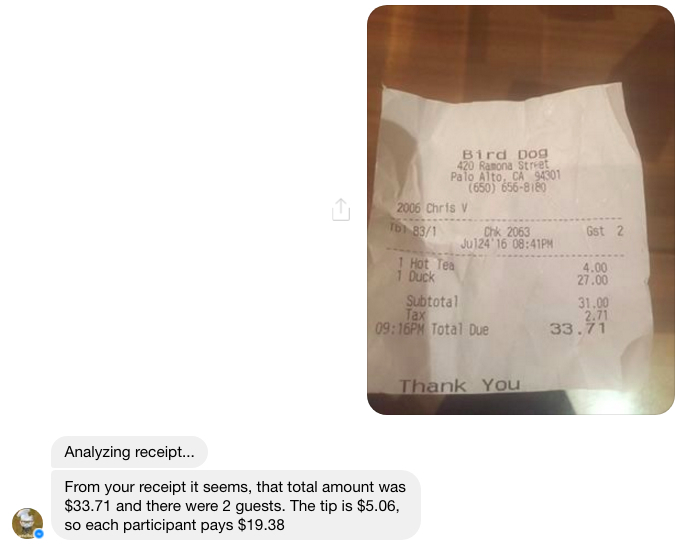 Also, you can upload a photo of your receipt and Lunchcat will automatically split your bill for you. 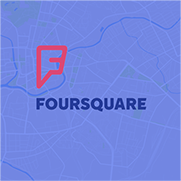 We developed an anomaly detection and machine learning based system for early detection of anomalies in the performance of Foursquare’s data infrastructure and systems. 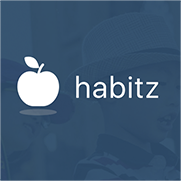 We brainstormed an effective machine learning driven mobile app solution with Habitz and determined what kind of underlying ML technologies and smart behaviour systems to use and how to best apply them. Have an idea for AI-driven product and need a second opinion?